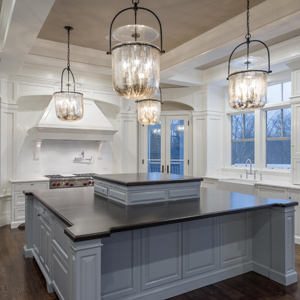 According to Business First, of the luxury home builders in Columbus, Ohio, Romanelli & Hughes is top builder. So we were fortunate, and honored, when they hired us to design and build their new website. You can see the revised website at www.rh-homes.com. In addition to a beautiful design, there's a complex database behind-the-scenes. Because the system allows anyone to search by communities, homes ready now, school districts, single family and maintenance-free villa homes, starting prices, bedrooms, and bathrooms, an elaborate database was built to tie together all the pieces of information. As part of the database, sales agents – often more than one – had to be associated with specific communities, with all their contact information. In addition, we built in a section that allows their sales agents to download documents placed there by the marketing department. There's also a database of spec homes that has to change dynamically as new homes are built, or sold. There's a lot of moving parts in this website, including site maps for each community, with information on individual lots, shown in this community map of Coffman Park. Of course, the lot colors can easily be changed when the status of the lot, or home, changes. In addition to each lot being color-coded for easy reference, each lot also has a pop up window when you roll your cursor over it, as you can see in the screen shot below. Clicking the "Click to View" link on the pop-up window, takes you to that specific home, as shown on the screen shot of that landing page (below). If you're a home builder and are proud of your homes (and why wouldn't you be?!? ), you should also be proud of your website. If you build in multiple communities, with multiple home styles, you'd want a web design firm who has the expertise to build complex relational databases to cross-reference, and cross-search homes. Even if you only build 5 or 10 high-end custom homes a year, your website needs to reflect the homes you build, and appeal to the high-end home buyer's sense of style. And the way to do that is to have custom website designed to emulate the details, characteristics and details of your homes. Even if you're a smaller home builder and aren't looking for a Romanelli & Hughes-sized website, remember, no site is too small for SEO. As a matter of fact, since your competitor's websites have been around a while, it's even more important to incorporate SEO into your new website. Otherwise, the chances of getting on your prospect's radar are relegated to word-of-mouth (which no doubt, is the best way to get your name out). However, there are more people who don't know you (or us) than do. Which is why using SEO (also called content marketing) and social media, is the best way to get your company name in front of people who might not yet know who you are. To read more about the benefits of SEO, see or blog about how having good SEO on your website allows you to spend more time with friends & family. Make sure you find a good Columbus SEO company to help with your website's SEO. Just because a web design form can design your site doesn'tmean they knwo about SEO. Be sure to ask about their successes. How do you know if a Columbus website designer is also a good SEO company? A quick giveaway is to look at their page Title on their homepage. If there are keywords in their Page Title, at least they have a grasp on SEO. If the Columbus website design firm you're considering has Page Titles with keywords in them for their own website, that's a good sign. Be sure to ask them about their successes with their client's SEO. See where their client's websites show up for a Google search for the keywords that a relevant for their respective industries. Read more about what should go into SEO for a website here.